CANNES MEDIA ACADEMY — Strategic Innovations Group, Inc.
You can apply to the 22019 Academy using the link you find here. It always seems impossible to top the year before, but somehow we pull it off. The secret? Thirty-five young people, selected by their companies as rising stars, who decide to show up and be all in, endless numbers of inspiring guests, big ideas, a challenging project and a magical setting in the south of France. Put that together, with a little help from Jane and Charles, and you get an amazing learning experience. We promise an inspiring and exhausting week. 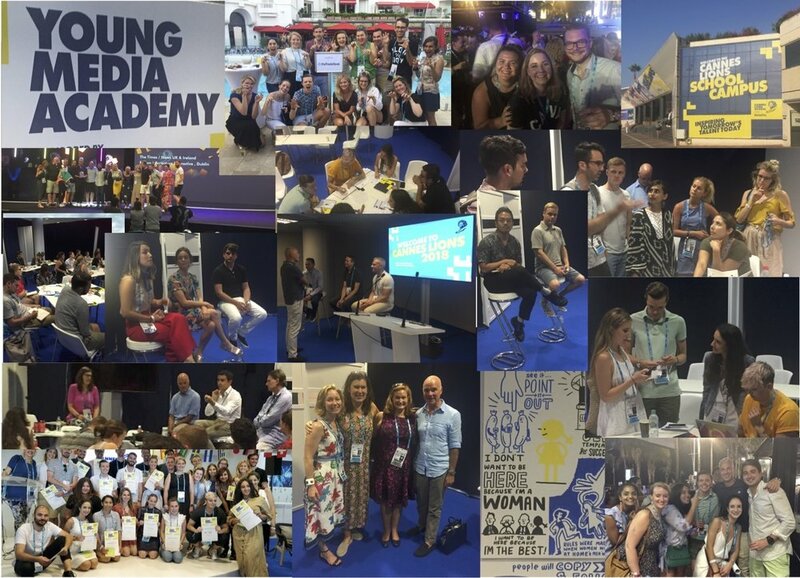 Our Jane partners with the one and only Charles Courtier to lead the Young Media Academy again this year at the 2019 Cannes Lions Festival of Creativity. Charles shares his decades-long career in media and a deep commitment to give back to the industry; Jane helpes guide the group to think about how they will go home and transform their organizations and make even greater impact. These two make quite a team. Watch this space for some perspective from our graduates. ﻿Great to see a few of our alumni in London recently. We’ll share their perspective in the coming days and weeks.